The 2017 BET Awards celebrated African American accomplishments in entertainment and sports Sunday night. Hosted by "Saturday Night Live" fan favorite Leslie Jones, the live telecast aired from the Microsoft Theater in Los Angeles. Bruno Mars, Chris Brown, Big Sean and other artists performed during the show, and Chance the Rapper received the Humanitarian Award. 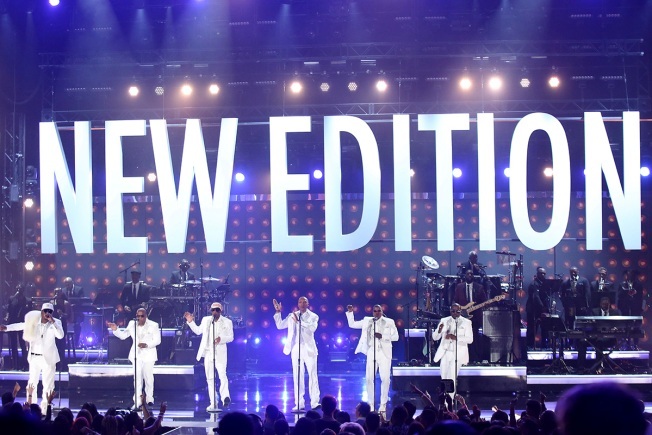 New Edition took home the Lifetime Achievement Award. Who else won big? Take a look at the rest of the winners. Beyonce ft. Kendrick Lamar - "Freedom"
DJ Khaled ft. Beyonce & Jay Z - "Shining"
Bruno Mars and Jonathan Lia - Bruno Mars, "That's What I Like"
Hype Williams - Tyga, "Gucci Snakes ft. Desiigner,"
WINNER: Kahlil Joseph and Beyonce "Sorry"
Fantasia's "Sleeping With the One I Love"
Mary J. Blige's "Thick of It"
WINNER: Solange's "Cranes in the Sky"
Yuna ft. Usher with "Crush"